Misplacing your house keys can be extremely frustrating. Being unable to locate them inside the house can drive most people up the wall. And if you happen to lose the keys outside the house, it can be a major security risk. If you are in the habit of labeling your house keys with your address or carrying your house key in your bag or briefcase (as most people are) and you lose your bag, it can lead to all kinds of trouble. Can you image what could happen if your bag holds documents or bills with your home address along with a set of your keys? If a burglar or an unscrupulous individual comes across the labeled key or the bag containing your keys and any kind of identifying documents, it is an open invitation to rob your house or to cause you and your family harm. 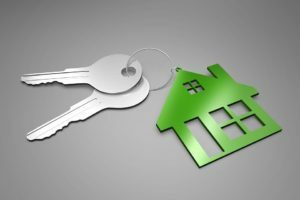 Regardless of how high-tech or advance your security system maybe, a master key is a crucial aspect of your home security system. It can cost you quite a bit if you have to replace the key and possibly even replace the locks. You also have to consider your situation from the insurance point of view – for example if you do lose your keys outside the house and your house gets burglarized, it could weaken your insurance claim. The insurance company can cite wilful negligence or carelessness on the part of the house owner as a reason to not pay up. Put up a key rack in a closet or cupboard which is at a distance from the main door. Get into the habit of using the key rack when you enter or leave the house; this way you can avoid misplacing your keys around the house. Don’t leave your spare set of keys in obvious places such as under the door mat; get a little creative and find a location which will be difficult for a burglar to find. Make sure every member in the house is aware of the location for the spare keys. Use your phone to track your key in case it gets misplaced – most wireless key finders (simply download the app) work on Bluetooth enabled iPhones and Android devices. Consider leaving a spare set of keys with a trusted friend or neighbor in case there is an emergency. Never label keys with your name, home address as it can be used to locate your house. Be careful when handing over the keys to your children; make sure they are aware of the dangers of losing the keys and are capable of taking care of the keys. Never leave your keys in your car; burglars often look in parked cars to find the house keys. Consider carrying your keys in your pocket provided you are in the habit of checking your pocket every time you leave the house or the office. You could also consider using a key chain in your bag to hold the key. An important aspect of keeping your house safe is ensuring your house keys are safe at all times. Whether you use wireless tracking devices or are more inclined towards following a routine, the simple goal should be central to keeping your safe at all times. Locked out? Don’t worry. Racine’s Lock & key can help with our 24/7 residential locksmith services. We can unlock your door in case you have locked yourself out or make you a new key. We can also rekey your locks in case you have lost your keys. Call us at (262) 509-0366.